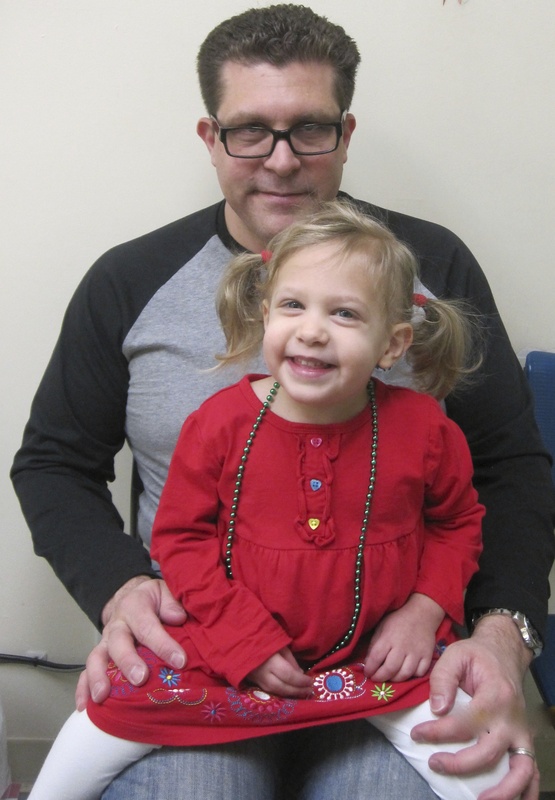 Your child has to get a blood draw or a vaccination, you start to panic because you know they are going to freak out. The anxiety starts to build in yourself. Maybe you think about your personal experience as a child getting a shot. Did the doctors and nurses hold you down? Did you feel a loss of control and that you had no one to protect you, including your parents? These feelings are very common and normal. As a child life specialist, I was taught a different approach to helping children and their families get through this medical procedure. 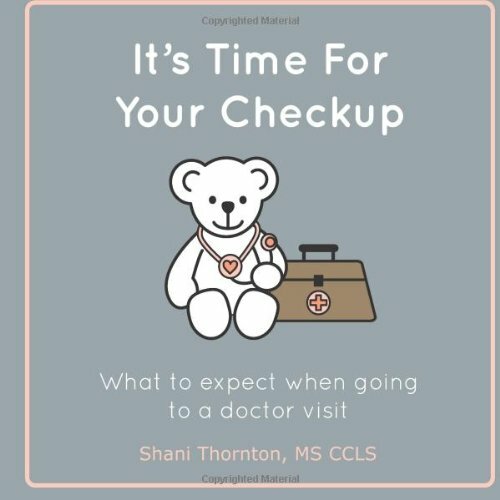 First preparing children by reading a book, such as It’s Time For Checkup What To Expect When Going To a Doctor Visit , will give a step by step of what will occur in a wellness visit, including a vaccination and blood test. Second introduce medical play at home to let kids play out and practice what will occur, by using real and pretend medical materials on their favorite doll or stuffed animal. The third part to preparing them for the procedure is offering as many realistic choices that you can. You can incorporate this into the medical play or while you are waiting for the nurse or doctor. Do you want to sit on my lap or sit/lie down by yourself? Do you want to watch the doctor/nurse or look away? Do you want the doctor/nurse to tell you each step before they do it? Do you want to play I-spy, blow bubbles or pretend to blow out birthday candles? What character band-aid do you want? It is less frightening and intrusive for your child if they sit on your lap instead of being held down by the doctors and nurses. Babies and be held in a cradle position. You can wrap their body in a blanket and have the limb that will be needed for the procedure exposed. It is also helpful if you give them a pacifier, talk or sing to them softly and try to relax yourself so they don’t pick up on any additional anxiety. Once the procedure is over than you can nurse them or offer them a bottle to help soothe and comfort them. Children can also sit on your lap facing you. Wrap their legs around your body and you can help hold them with a hug. This allows the child to watch what is happening or turn their head the opposite direction to look away. If there is a child life specialist or another person available, they can hold up a book or a bubble wand to help distract and encourage deep breathing. Children can also sit on your lap with their back to your chest. If they need help holding their body still, than you can wrap your arms around them for a hug. This position also allows the child to watch or look away. It gives their body a better sense of control instead of being held down with adults hovering over them. They can focus on deep breathing or play a game of I-Spy in the room. Remember to be honest with your kids and use simple language that they will understand. Use their five senses to help explain what they will experience (smell of the alcohol wipe and that it feels cool and wet). Try not to get angry and frustrated at them if they are not cooperating 100%, remember that they are kids and may be scared. If the doctor or nurse is adamant on holding your child down, than discuss and advocate your feelings on what is best for your child. You are the parent and know your child better than anyone. I recently brought my son in for a blood draw and this was our experience. Future CLS? Love this post – thank you so much! My baby’s on an alternative (spread out) vaccination schedule so we’re in there for 1-2 shots every month. The doctor always has him laying on the table and after the shot he just screams and screams, and I’m in tears feeling helpless – it’s horrific!! At his 5 month visit in a couple of weeks I’m going to hold him and so help me if the doctor protests!! Wow, thanks so much. We have a pending visit that I have yet to schedule because we’ve been terrified of my now VERY aware tot. Do you have any experience with the ‘shot blocker’ ? I got it but have yet to use it. Hi Jennifer, I have never heard of the shot blocker. I looked it up and asked fellow child life friends if they have used it in their practice. Also distraction with bubble blowing, singing and counting. Advocate for holding them on your lap, that will make a HUGE difference.